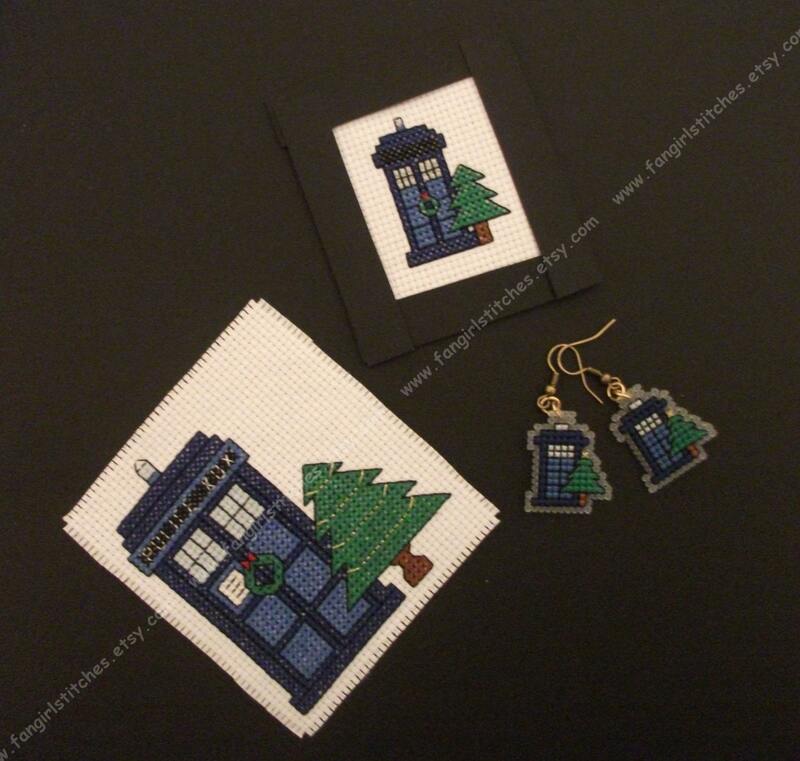 Celebrate Christmas in Whovian style with TARDIS Christmas cards, and your own pair of TARDIS Christmas Earrings. 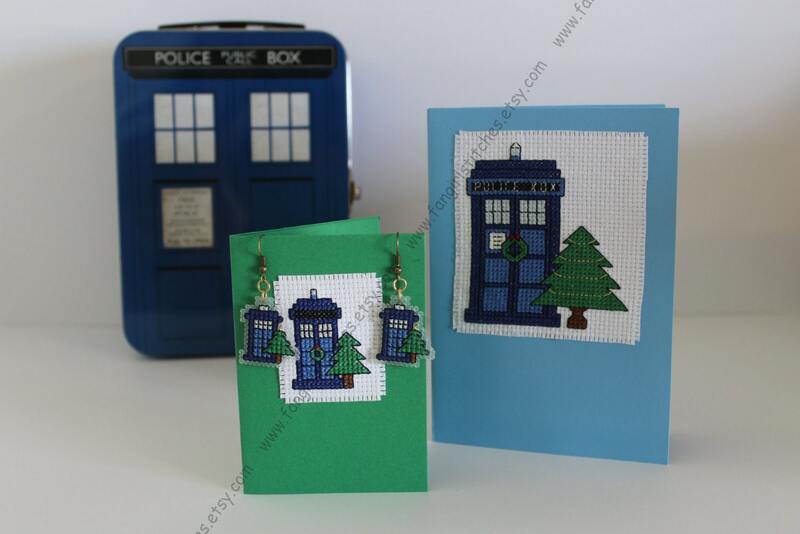 The card patterns measure 9 x 7.5 cm and 4.5 x 4 cm. 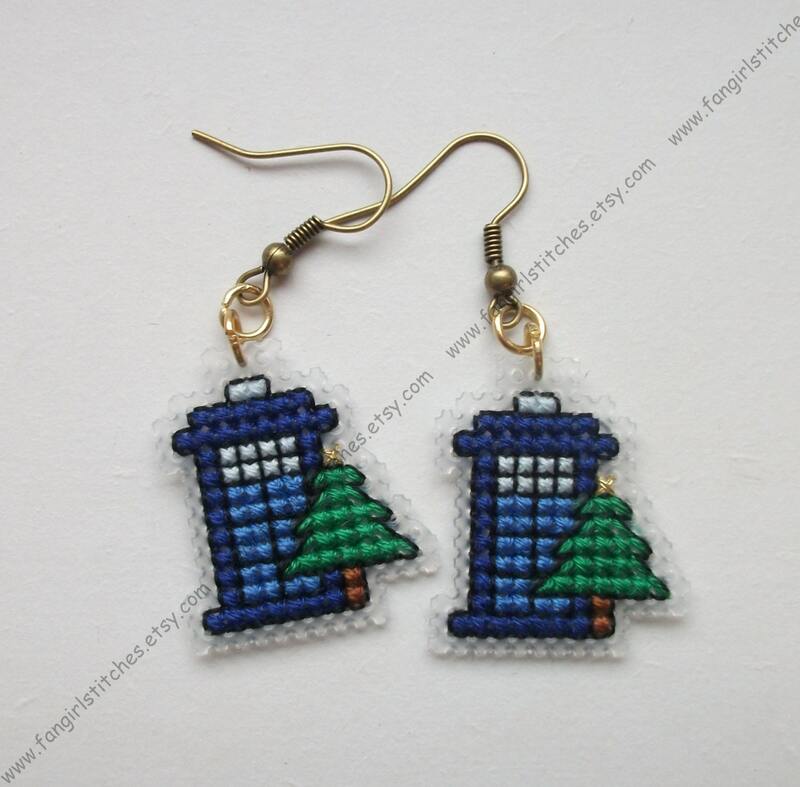 The earrings are 2.5 cm square. Patterns are for personal use only. Finished products can be given as gifts but not sold for profit. Wonderful pattern. Easy to read. Very clear pattern! 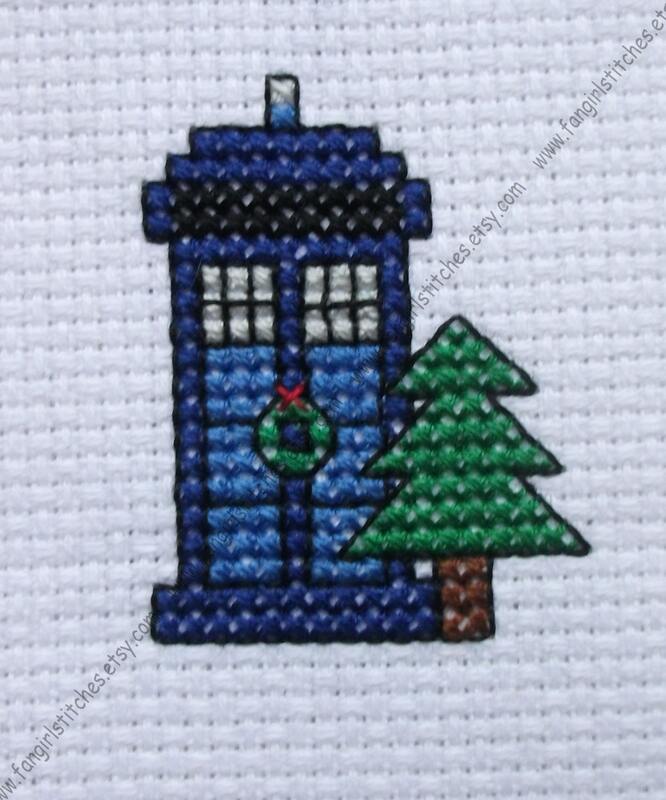 Will be a quick stitching project, for sure! Very well done pattern. 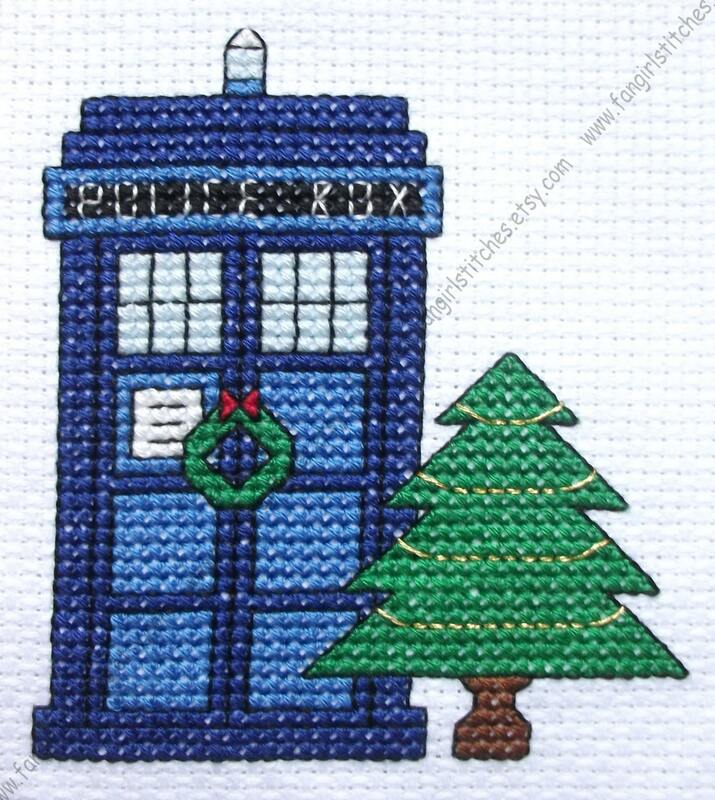 I'm planning to make a whole strand of little tardises for my Christmas tree. You The charts are clear and easy to read. The design is great.